Isoler Ltd was formed in 1992 to offer a specific one stop service to the construction industry in the North of England. With a very experienced management team, a highly trained directly employed workforce and efficient administrative staff, we soon achieved our objective: to be the best fire protection contractor in the region. We have ongoing and recurring contracts with all the major construction companies in the region. We place the highest possible priority on quality of workmanship. We keep right up to date with the development of new products and procedures. We are totally committed to the training and personal development of our workforce. In December 2006 Isoler Ltd became part of the Northern Bear group. 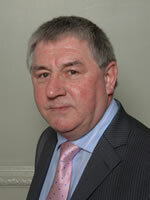 John Gilstin became managing director of Isoler Ltd in November 2005 after having been contracts manager for some 15 years with the company. He has over 30 years’ experience in the passive fire protection industry mostly spent working on site on contracts throughout the UK. 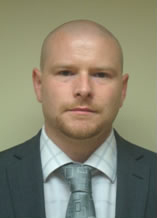 John originates from an engineering background and understands the needs associated with the modern construction site. He has an excellent working knowledge of the systems and products available to meet client requirements, in line with legislation for air tightness, fire containment and acoustic performance. 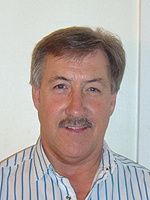 John, with the assistance of his team, is able to provide invaluable proactive advice. Paul Skelton joined Isoler Ltd in January 2009 with responsibility for the commercial delivery of projects, liaising with clients and securing new work. Paul raises all invoices and applications for payment ensuring that information is accurately recorded and submitted to the client, reporting directly to John Gilstin and monthly to the Board of Northern Bear plc. Paul is an Incorporated Member of the Chartered Institute of Building, having received his ICIOB accreditation in March 2014. Robert Blaney was promoted to contracts manager in 2008 having worked his way up through the company over 11 years from general operative to supervisor to contracts supervisor. As contracts manager, his main role is to liaise with John Gilstin and on site management to ensure the smooth running of each contract. He is also involved in all aspects of the CITB-backed training programme and works closely with the group’s health and safety advisers. Robert has completed a 5-day Site Managers Safety Scheme and Environmental Awareness Course. 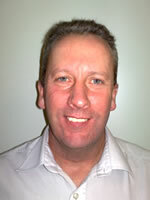 Ray Gilstin joined the company in 1992, initially as a self employed site worker. He has been involved in all aspects of Isoler’s work and having climbed through the ranks, now holds the position of contracts supervisor. Ray’s duties include the allocation of manpower and materials on site and liaising with site staff to ensure work is programmed and delivered on time. He has completed a 5-day Site Managers Safety Scheme and Environmental Awareness Course. 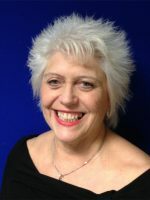 Val Butler joined Isoler Ltd as office manager in January 2005 and is responsible for all aspects of administration and accounts within the company. Having some 38 years experience in this field, she reports directly to the managing director, John Gilstin, and ensures the smoothing running of the office on a day-to-day basis. Sarah Blaney joined Isoler Ltd in October 2008 with the responsibility to assist Val Butler in managing the daily business accounts, administration and audit requirements. 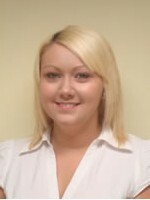 Sarah has completed the Association of Accounting Technicians (AAT) Certificate Level 2 and is working towards Level 3.